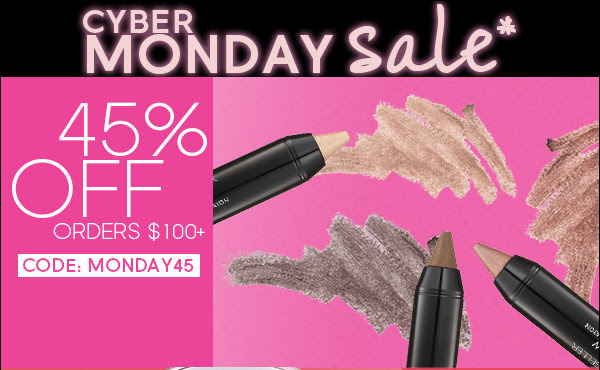 Laura Geller :: Screaming Good Cyber Monday Deal! so guys, RUN don't WALK!!! it ends tonight at 11:59ET!!!!! i don't think this post will really apply to anybody that's not in the US, so i apologize for that! 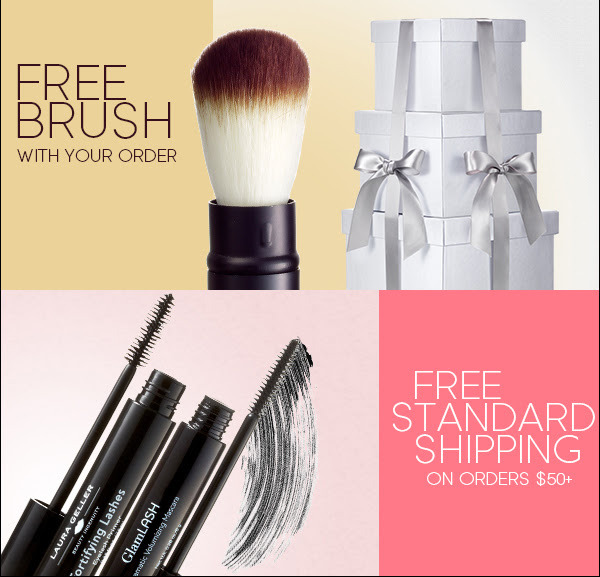 i do have a few Black Friday beauty deals i got sent deets about that i just had to share. i'm not familiar with all of these brands, but i wanted to share the huge sales and deals in case you guys are already fans... or have been looking to give them a try :) for a huge list of Black Friday deals, please check out http://nouveaucheap.blogspot.com/. she is my go to place to find the scoop on deals year round!! Avon – Stock up on all of Avon’s staple products from Color and Fragrance, to Skincare and Jewelry too! · 12 Days of Deals: Each day from 11/30 through 12/11, receive amazing Avon products with your purchase. Some gifts include a perfume with any $45 purchase, Anew Ultimate Supreme Performance Cream with a $45 purchase, and a makeup palette with any $60 purchase! Rituals – For New Yorkers or anyone visiting the city over the holiday weekend, Rituals is opening their 10thNYC store on Black Friday! Located at 489 Broadway in Lower Manhattan, discover a wide range of luxury home and cosmetics products, including body care, skin care, fine fragrance, mineral makeup, and scented candles and diffusers. Each product is inspired by an Ancient Eastern tradition or ritual that transforms your everyday routines into more meaningful moments. · Black Friday: Take 20% off on everything in the shop and be sure to stop by as they are giving away special prizes all day long. Robin McGraw Revelation –Have your own Revelation with any of Robin McGraw’s products during her “Spend More, Save More” campaign during the holiday weekend. Choose from her fun-filled Me O’ My and brand new Luxury Skincare Collections and discover ways to live a more beautiful, happy and healthy lifestyle! PUR Cosmetics – Be sure to grab the best PUR has to offer during their holiday season promotions. Known globally for intelligent beauty solutions, PUR’s signature complexion, skincare, and on-trend color products provide immediate flawless results that nourish and improve the skin over time. 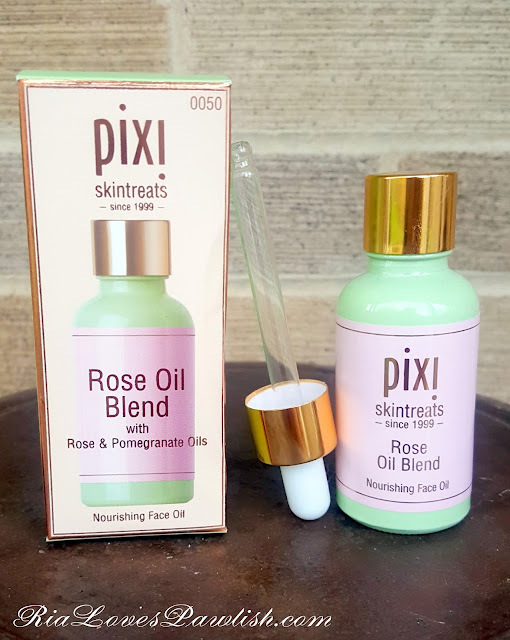 i've got another Pixi Skintreat to share with you all today... this one is their Rose Oil Blend! (press sample, kindly provided to me for review). as you might have surmised from the name... it's an oil :D this one is a facial oil which targets keeping your skin looking youthful and elastic. the packaging is a glass bottle, i love that it gives you the option of using a regular top or a dropper! i prefer the dropper as it gives you so much control over how much product you dispense. while this oil may be a blend of rose and pomegranate... the only scent i smell is rose, and it's quite strong. at first i wasn't sure how i felt about it... but the scent doesn't linger on the face, so for me it's not a problem :) i use this Rose Oil Blend under my moisturizer, so it's my second to last step of my nightly skincare routine. the oil doesn't sink into my skin until morning, there is no way for me to use it in the morning unless i'm just hanging around the house! i still haven't decided if it has quite enough hydration for my skin in winter... sometimes i wake up with a touch of flakiness on my chin, sometimes i don't have it! Pixi Rose Oil Blend retails for $24. you can find it and other Pixi products at Target stores, www.Target.com, and www.PixiBeauty.com!! 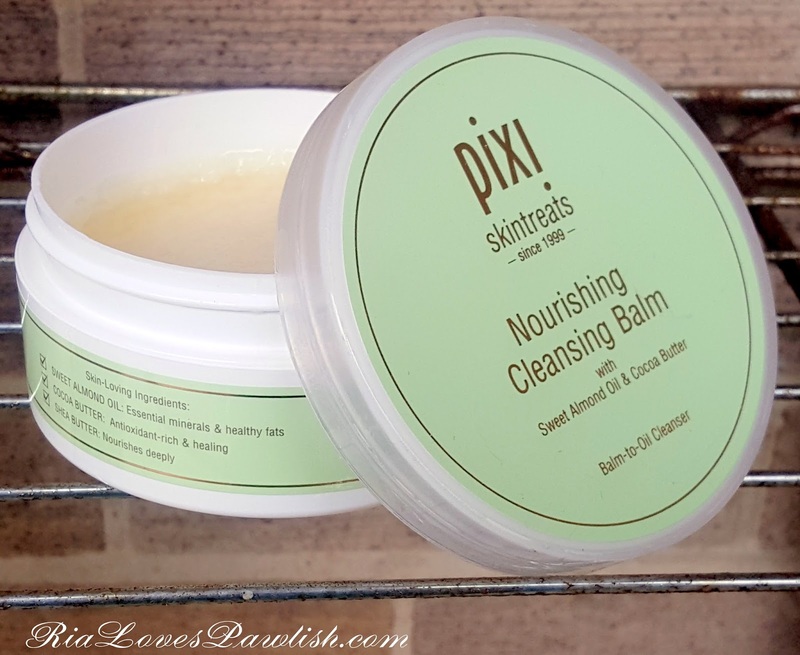 today we're checking out Pixi Nourishing Cleansing Balm (press sample, kindly provided to me for review). it's a face cleanser that also removes makeup, including mascara! Nourishing Cleansing Balm starts out as a solid, but starts melting as soon as it makes contact with your skin. once you've rubbed it around your fingers, it will completely turn into an oil. you simply rub it all over your face to remove dirt and makeup... for mascara, i leave it on for a little bit to let it break down then gently rub over it. you can use a towel to remove it, i prefer to use a facial towelette, though! a little bit goes a long way, so there is a learning curve on how much you will need. i'm not a huge fan of using cleansing oils, but this one works really well if that is your cleanser/makeup remover preference! it's a great choice for people with dry skin as it IS an oil (almond oil) and contains shea butter :) it does have an odd smell to me... kind of citrus... kind of something else. this is one you might one to sniff in store, i think you will be able to get a hint of the scent through the jar. i'm ULTRA weird about smells, though! Pixi Nourishing Cleansing Balm retails for $20. you can find it and other Pixi products at Target stores, www.Target.com, and www.PixiBeauty.com!! i love Benefit's skincare... it's definitely one of my favorite brands i've tried and always have at least one of their products in my rotation. their Moisture Prep Toning Lotion is a moisturizing toner that not only hydrates skin but also helps other products to be absorbed into the skin better! it also smells fantastic... not overly perfumed, just smelling it makes me feel so happy :) i'm obviously terrible at describing smells... this is one you'll have to sniff in-store probably to make sure it works for you. now that winter is here, my skin needs the little extra bump of moisture this product gives to keep me from getting flaky skin. since i use a lot of harsh products in order to keep my acne and oiliness (not to mention fend off fine lines and wrinkles), my skin is a lot more dry than it used to be in certain places. for some reason, my chin seems to bear the brunt of this! i will be using this product in the morning under my daytime moisturizer. it will be the first thing i put on, all i do in the morning is splash water on my face to rinse off the night's products... my face doesn't need soap in the morning, that absolutely does dry it out! i've been using it on and off for a couple years now and have no complaints. i do wish it was a bit cheaper... however, with skincare, i believe in paying for quality! 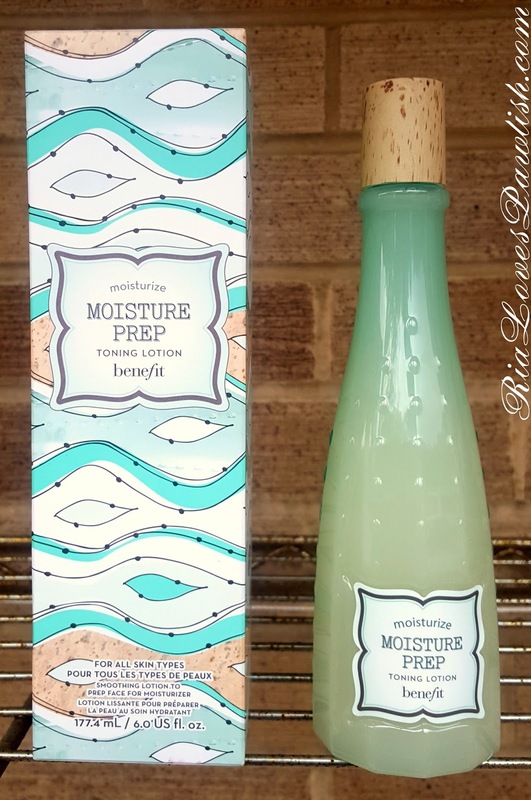 this product retails for $30 and you can find it where ever Benefit products are sold... i almost always get mine from Ulta :D THIS is the direct link to Moisture Prep Toning Lotion on Benefit's website, where it is also available for purchase! i'm not going to make promises about how well i'll do with posting... i want to go back to posting regularly... but i just don't know! last month was so terribly difficult, and pretty shattering at the end, but i'm going to do all i can to make November better :D i hope that you all have a wonderful November, too! !